The first big collector car auction event on the calendar for European collectors each year is Retromobile in Paris, the first week of February. If you’re a really serious car guy, you spend a week in Scottsdale, return home for a few days to regroup and then jet off to Paris for the three auctions held in conjunction with Retromobile. Imagine Retromobile as a sort of AACA Fall Hershey meet for European classic rather than American ones with a few auctions thrown in. 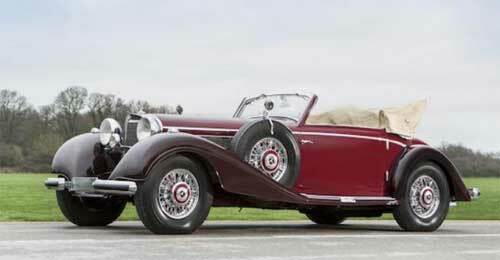 RM Sotheby’s, Artcurial and Bonham’s all held one day sales in Paris during Retromobile. 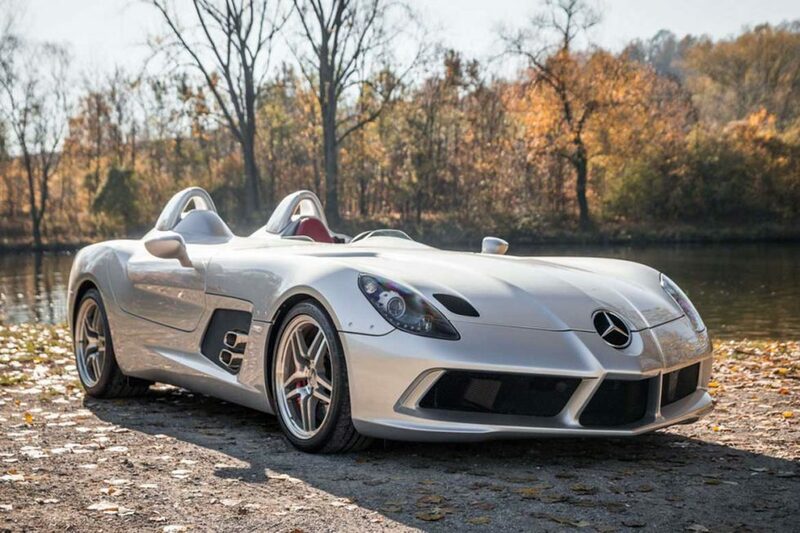 We’ve listed the Mercedes vehicles that crossed the blocks at the various auction houses below, but first, a few impressions after looking over the auction catalogs and sales results. 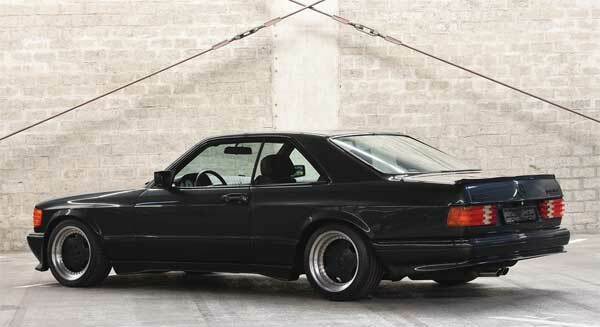 RM Sotheby’s Youngtimer Collection is a private collection of 140 cars they will be selling this year. ‘Youngtimer’ is a term, mostly used in Europe, to describe collectible and future collectible cars from the 1980s and 90s, RM has included the 2000s in their description as well. These 140 cars are from a single, private collection. There are 34 Mercedes included in the collection, more than any other marque, followed by 27 BMWs, and then cars from Jaguar, Rolls Royce, Nissan, Ferrari, Porsche and on down the line. 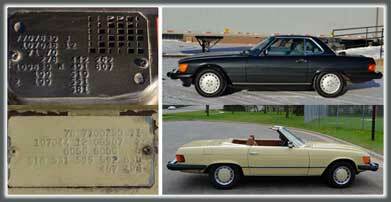 There were W124 500 E models at both RM Sotheby’s and Artcurial. RM and Bonhams both offered C 107 SLCs, V8 and 6 cylinder models were represented, but it was the Pre-Merger AMG 560 SEC ‘Wide Body’ at RM that surprised with its sales result. RM Sotheby’s high dollar ‘Youngtimer’. The auction estimate for the 1989 560 SEC 6.0 Wide Body was $170,000 – $225,000 (approx.). On sale day it sold for $336,100 including fees, according to RM Sotheby’s published sales results. A big number for a Pre Merger AMG SEC, but probably a harbinger of what the future holds for well documented examples of such cars. 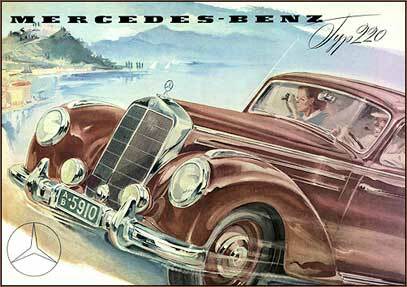 There were a number of Pre-War Mercedes available in Paris, including a 1939 540 K Cabriolet A offered by Bonhams that brought $1,786,180 on sale day. High sale honors for Mercedes in Paris went to the 2009 SLR McLaren ‘Stirling Moss’ offered by Artcurial. One of just 75 such examples made, this wild SLR variant sold for a strong $2,897,351. There were a handful of 300 SLs, some selling, others remaining unsold as well as several 1950s 300 Coupe and Convertible models. Cars listed under each auction house are in order by lot number. *Sales figures collected from the various auction company websites and, in some cases, the ‘Hammer Price Live’ app. Sales figures vary slightly based on source, probably due to Euro – Dollar conversion rate used by each source. RM Sotheby’s sales numbers were listed in Euros on their website, we converted to dollars using the exchange rate on Feb. 13, 2019, a week after the sale, so numbers aren’t dead on exact, but they’re awfully close. RM prices rounded to the nearest $100 increment. **All photos courtesy the various auction companies.